One of the activities that we have at my school to try to involve some 7th grade students is called the Amazing Academic Race. It is modeled loosely after the TV show The Amazing Race. Students compete in various different fun academic events throughout the school such as Current Events, Creative Writing, and of course, a math competition. I have been in charge of the math portion of this event for the last several years and I have made it TOO HARD! Well, now that my son is actually in 7th grade, I have more of an idea of what 7th graders can and can't actually do! So, I changed things up, and I think my portion of the race was much more successful this year. In addition to changing the types of questions I was asking, I also wanted to incorporate technology. So here, is what I came up with. I begged the tech department for 5 iPads since I would have 5 groups at a time. Students had 45 minutes to compete in the math portion of the competition. I created 7 math questions that the group of 4 students could work on together. 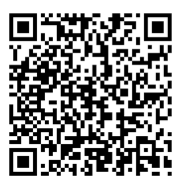 After I quickly showed each group how to use a QR Code reader app and a calculator app, I gave them their first QR Code. By the way, even though I know this would be a question that students could solve by writing a system of equations, I knew some groups wouldn't know how to do that. I thought that they would be able to guess and check though. Some groups did definitely struggle with this. For next time, I may need to rewrite the question a bit. But, I digress -- after students solved this question, they ran off to find room 106. Keep in mind, these are students that don't go to my school, so finding the room was actually part of the race. At room 106, there was another QR Code which led them to their next problem. At the end, I gave students a bonus problem which would hopefully occupy the rest of their 45 minutes. I was really happy about how this race turned out. Students were engaged, I showed them how to use a bit of technology, and they were doing math problems - what could be better?? It's a great big math holiday! Pi Day - March 14th - 3/14 - get it??? I love having a big celebration for Pi Day in my Geometry classes. I don't put on a big celebration in my other classes because I really love having something special for the kids to look forward to in Geometry. I have celebrated Pi Day in various ways over the years, but here are some of my favorite activities. 1) Have a Pi recitation contest - Tell students about this ahead of time. You will be surprised which kids take on this challenge. Some kids will be able to memorize hundreds of digits! As a suggestion - find a webpage that shows the digits of pi and project them onto the screen in your classroom. Have the students turn and face the class. The student can recite the digits while the class watches. They will love it and be totally amazed! 3) Do you have access to iPads or computers in your classroom? 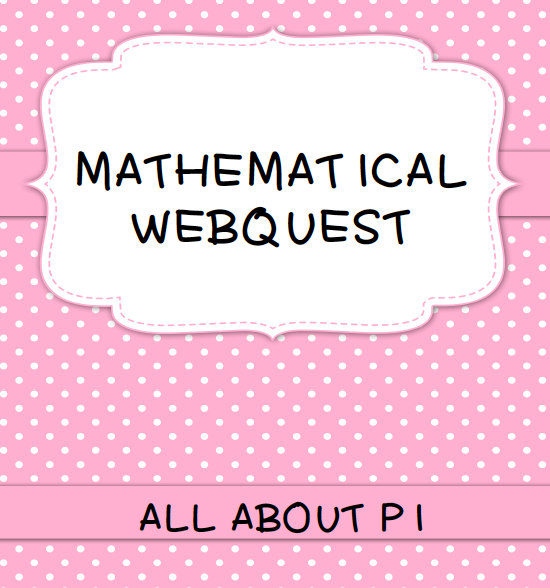 Try my Pi Webquest! 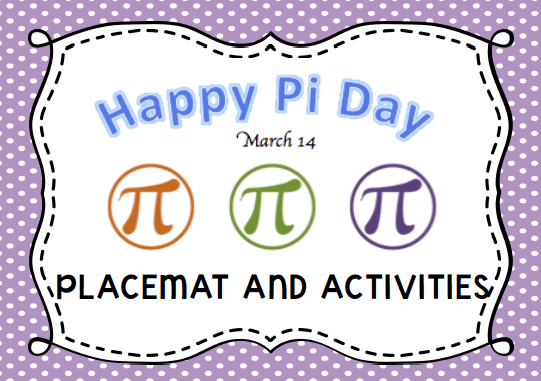 Students will explore various websites and answer fun questions about the number Pi! I have also included 2 forms of a word search about the number pi. This is a placemat similar to what kids get in a restaurant - except it has fun facts about pi! Laminate and reuse from year to year. 5) Another activity I've tried before is making a Pi Day bracelet with beads. I bought a huge bucket of beads from a craft store and assigned each digit from 0 to 9 a color. I projected the first 50 digits of the number pi on the screen and away they went. They each had something to take away from our Pi Day celebration. If you are planning to celebrate Pi Day this year, head on over to this link on Teachers Pay Teachers and you can download my Pi Day Stickers for FREE. They are formatted to fit on Avery 5163 stickers. If you don't have stickers, you could just print on card stock, cut, and then hand them out.